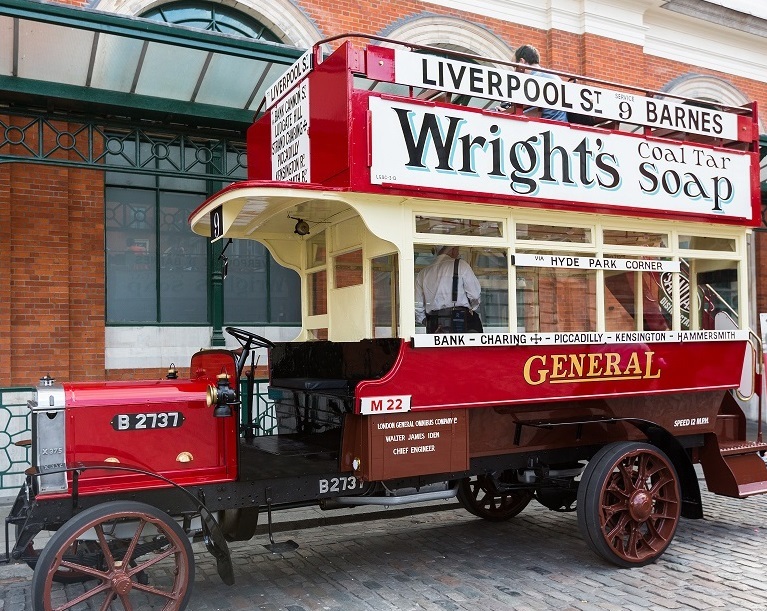 Built in 1913, London Transport Museum’s Battle Bus ran between Barnes and Liverpool Street from the Mortlake Garage until it was drafted in to support the war effort. Thanks to National Lottery players and London Transport Museum Friends, the bus was restored to its former military glory in 2014. In that year, it completed a 10-day commemorative tour of the Western Front. In 2016, it took part in the centenary of the Battle of the Somme in France. Battle Bus will remain on display at London Transport Museum from Sunday 30 September. During October half-term (20 to 28 October), London Transport Museum will host a programme of family-friendly Battle Bus activities. These will include a temporary exhibition where visitors can read letters sent by transport workers to their loved ones back home, try on transport uniforms, and leave a message of remembrance. • Bus No. B340 – Built in 1911 this bus operated from Middle Row Garage in West London, before being requisitioned to carry wounded troops in the Capital. • Bus No. 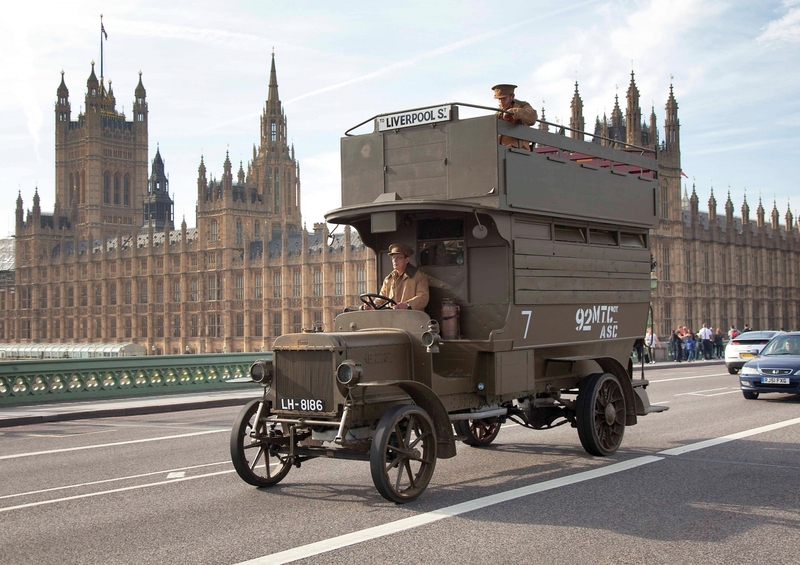 B43 – Owned by the Imperial War Museum, this bus was built in 1910 and is the oldest of the surviving vehicles. Affectionately known as ‘Ole Bill’, it is unknown where it served during the war, but it later returned to London as an emergency replacement bus service. • Bus No. B1609 – Lovingly restored by owner Barry Weatherhead, this bus was built in 1911 and operated from Leyton Garage, helping Londoners go about their daily lives throughout the war years. 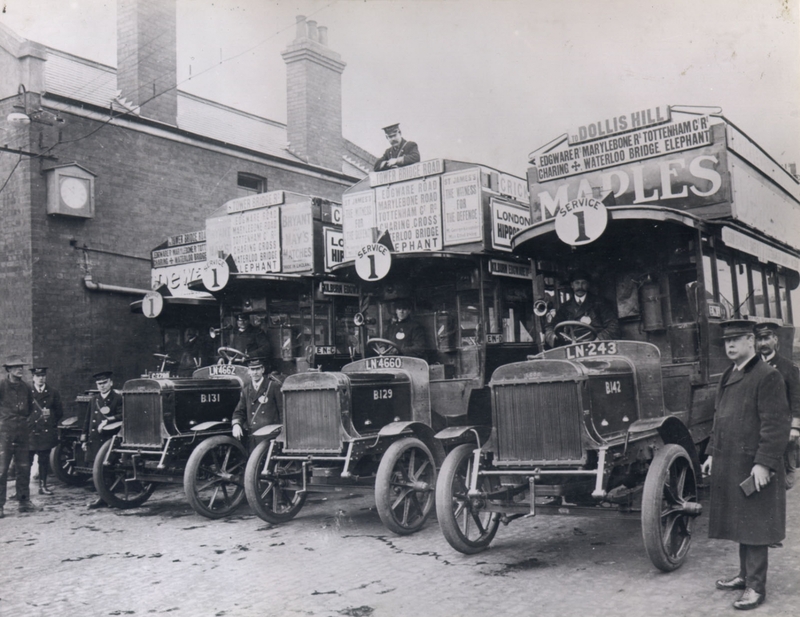 Built in Walthamstow near London and introduced in 1910, B-type buses like these were the first, reliable mass-produced motor bus to dominate London’s streets, replacing Victorian horse-drawn vehicles. In their day, they were a ground-breaking feat of engineering, overcoming the challenge of keeping London moving as the city and its industries expanded. Built from interchangeable chassis and engines they could be upgraded, repaired, and returned to service quickly to keep London moving.